Displays strings, cables, retail packages, etc. 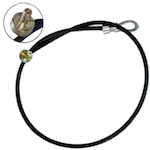 Jack locks for 1/4" inputs attached to a 24" cable. 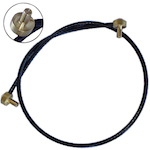 Jack lock for 1/4" inputs attached to a 24" loop end cable.